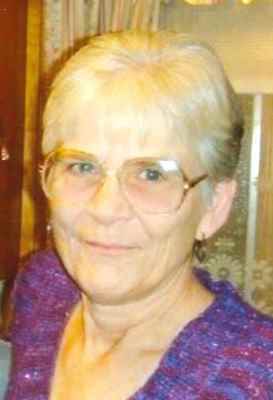 Barbara “Barb” J. Rutherford, 69, of Fremont, OH passed away peacefully surrounded by her family on Sunday, February 4, 2018 at Bellevue Hospital. She was born on May 4, 1948 in Lakewood, OH, the daughter of Richard C. Fink, Sr., and Jean (Twitchell) Baillie. She was a graduate of Margaretta High School. Barb married her best friend, Albert L. Rutherford, on July 5, 1985 in Clyde, OH and he survives. Barb worked as a Cashier at McDonald’s for thirty-three years until she retired two weeks ago. Barb enjoyed spending time with her family, going to her grandchildren’s sporting events, family get togethers, going to the Amish Country, gardening and flowers. Barb is survived by her husband and best friend of thirty-two years, Albert L. Rutherford, Fremont, OH; children, Barbara (Russell) Cook, Bellevue, OH, Dawn (Jason) Collins, Vickery, OH, Shelley (Tim) Ross, Tiffin, OH; mother, Jean Baillie, Vancouver, WA; step children, Richard H. Rutherford and Christina Rutherford; siblings, Sandra Niehm, Vancouver, WA, Richard (Jacqueline) Fink, Jr., Huron, OH; grandchildren, Dustin Leck, Anna (Brandon) Leck, Savannah Puder, Brandon, Jordon and Cameron Collins, Kelly, Joshua and Jayden Sichina, Michael and Zachary Ross; great granddaughter, Eloise Puder; several nieces and nephews and her beloved pet dog, Bandit. She was preceded in death by her father; brothers, Jerry and Kenneth Fink. Visitation will be Thursday, February 8, 2018 from 5 to 7 p.m. with the funeral services beginning at 7:00 p.m. at Wonderly Horvath Hanes Funeral Home and Crematory, 425 E. State St., Fremont, OH 43420. Burial will take place at Restlawn Cemetery, Huron, OH, at a later date. In Lieu of flowers, memorials can be made to the family. Barb, I’ll miss our chats. Condolences to your soul mate, and your children. Fly high my friend. Sending thoughts and prayers to you all in this difficult time. To All the family of Barb Rutherford,,,Randy and I and our family sends all our love and prayers to you at this sad time. We pray for God’s strength and peace to surround you in the coming days. God bless you all. RIP Barb,,,I’ll see you again!!! Barb Im gonna miss u so much. I’m gonna miss all the times we had laughing and talking everyday. U u We’re a great women and a great employee. Fly high. There are just not enough words to tell you how much I am going to miss. I thank God for all the memories I will be able to treasure! You will forever remain in my heart and mind! May you sore high and R.I.P. There are just not enough words to tell you how much I am going to miss you. I thank God for all the memories I will be able to treasure! Barb, I send my condolences to you and your family. May God send comfort and peace to you all during this difficult time. If you need anything, please don’t hesitate to ask. Love you! Shelly, Tim and Family – you are in our prayers and we are very sorry for your loss. I worked with Barb at McDonalds back in the day. She was always very nice to me and she always worked the drive thru. Every time I went through she still remembered me after 20 years. My condolences to her family. I will always remember Barb as a hard worker and a little grumpy at times… Lol. But thats what we loved about her. We were FAMILY at McDonald’s and I will never forget those moments. Rest in peace Barb. God bless. We loved Barb, too and share in your loss. You and Barb were such good friends to us. Our love and prayers go out to you and the family. God’s blessings are forever. Shelly, So very sorry to hear about ur loss. May your mother RIP.